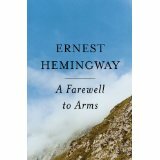 This is a free study guide to A Farewell To Arms by Ernest Hemingway. In what ways does A Farewell to Arms reveal the Hemingway code of behavior for a man? Frederic Henry is detached and analytical and his observations to the reader are delivered in simple terms and without recourse to artifice. The impression is of a young man existentially removed from the world. As a typical Hemingway hero he enjoys drinking, rarely if ever displays weakness and acts without hesitation. Our study guide offers an analysis of every aspect of the play. Please click on the literary analysis category you wish to be displayed. Remember to use Back and Next buttons which can guide you through all the sections or you can choose to jump from section to section using the links below, above or the links at the left.